A 70-episode anime television series adaptation produced by the animation studio Madhouse aired in Japan on the NHK television network spread over three seasons. Nelvana licensed Cardcaptor Sakura in North America, dubbed the series into English with Ocean Studios featuring Carly McKillip as Sakura, and released it under the name Cardcaptors. 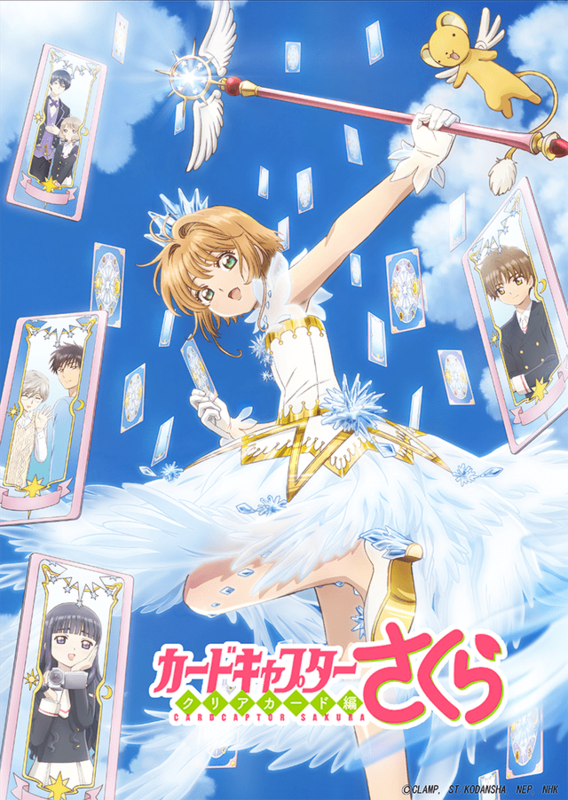 this is the version anyone who saw it in North America would remember and although many fans of the show are old and overall the hill now I still jumped for joy when I head of a series revival in the form of Cardcaptor Sakura: Clear Card! Funimation has announced plans to present an English dub of the anime on their FunimationNow service. The series following everyone’s favorite Clow Card hunter in her junior high years is also coming to Crunchyroll is January.